The outbound leg of New Horizons’ journey includes the first-ever trip down the long "tail" of Jupiter's magnetosphere, a wide stream of charged particles that extends more than 100 million miles beyond the planet. And telescopes on and above Earth – from amateur astronomers’ backyard telescopes, to the giant Keck telescope in Hawaii, to the Hubble Space Telescope, Chandra X-Ray Observatory and others – are turning to Jupiter as New Horizons flies by, ready to provide global context to the close-up data New Horizons gathers. For the latest news and images, visit http://pluto.jhuapl.edu or www.nasa.gov/newhorizons/. New Horizons is the first mission in NASA’s New Frontiers Program of medium-class spacecraft exploration projects. Stern leads the mission and science team as principal investigator; APL manages the mission for NASA’s Science Mission Directorate, and designed, built and operates the spacecraft. The mission team also includes KinetX Inc. (navigation team), Ball Aerospace Corporation, the Boeing Company, NASA Goddard Space Flight Center, NASA Jet Propulsion Laboratory, Stanford University, Lockheed Martin Corporation, University of Colorado, the U.S. Department of Energy, and a number of other firms, NASA centers, and university partners. 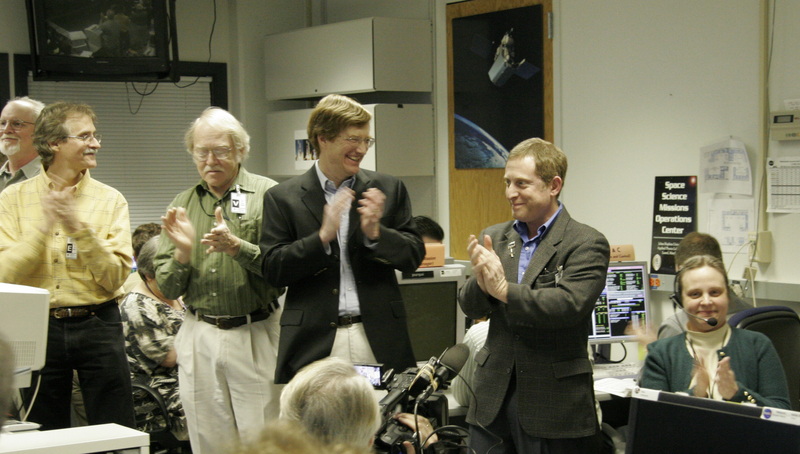 At just before noon EST on Feb. 28, 2007, (from left) Science Co-investigator John Spencer, Program Scientist Denis Bogan, Project Scientist Hal Weaver, Principal Investigator Alan Stern and Mission Operations Manager Alice Bowman applaud upon confirming New Horizons' successful Jupiter flyby in the New Horizons Mission Operations Center at the Johns Hopkins University Applied Physics Laboratory in Laurel, Md. 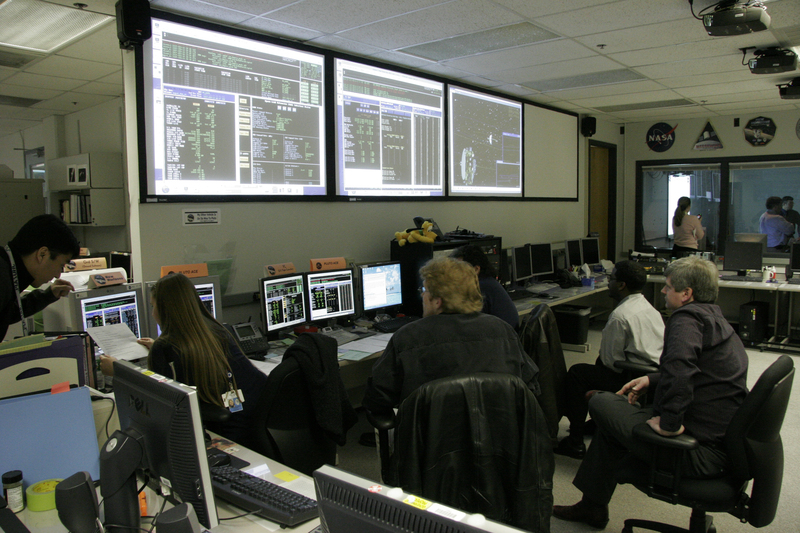 Spacecraft operations team members at the Johns Hopkins University Applied Physics Laboratory in Laurel, Md., establish contact with New Horizons after its flyby of Jupiter on Feb. 28, 2007.